The EUR/USD completed a local ascending movement; the market reach the targets defined earlier and started to form a corrective structure. Today the price may continue moving downwards as specified on the chart and form five structures inside this corrective wave. By now the pair has formed the first one and corrected it. Later, in my opinion, the price may break the current minimums. 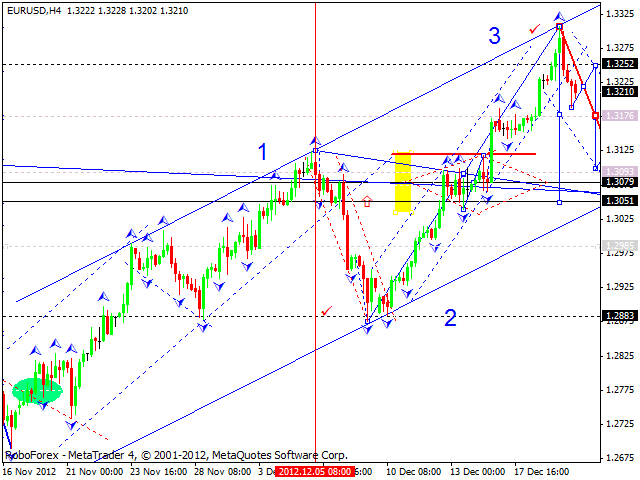 A predicted target of this correction is at 1.3080. 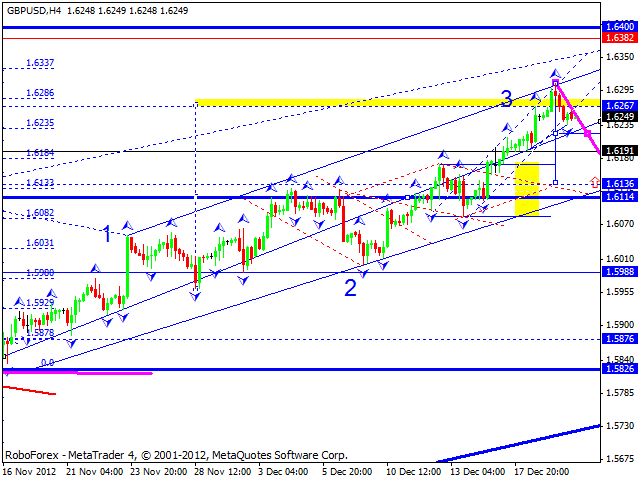 The GBP/USD currency pair finished an ascending wave and started forming a new correction. Today the price may continue falling down. 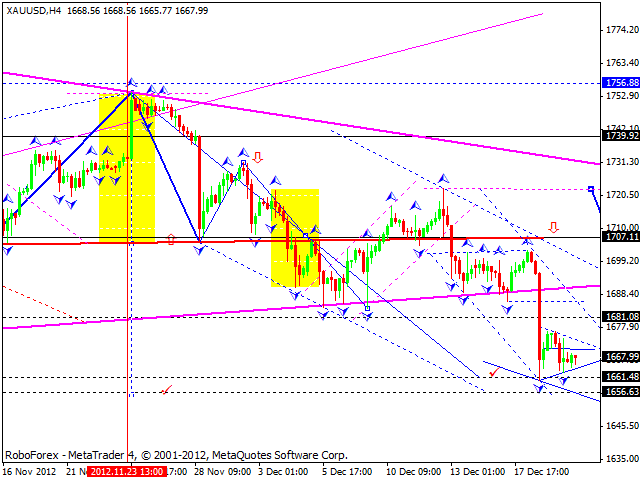 A predicted target of this correction is at 1.6140. 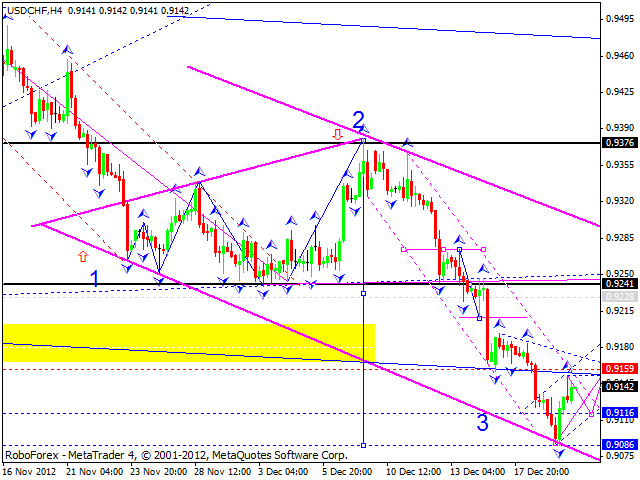 The USD/CHF currency pair finished a descending wave. 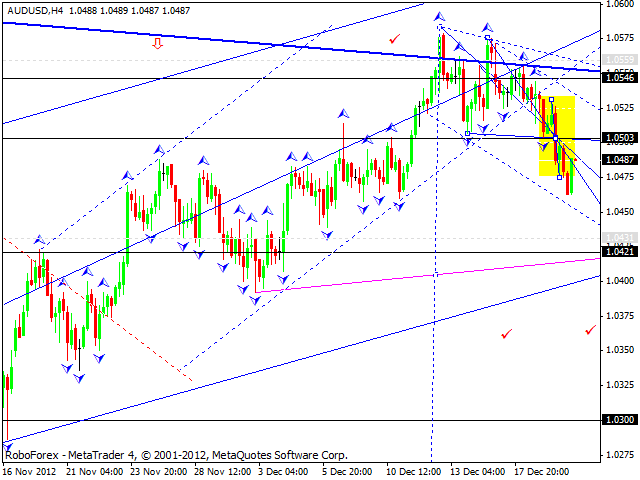 Today we can see that it is forming the first corrective structure. Later, in my opinion, the price start growing up as specified on the chart. A predicted target of this correction is at 0.9240. 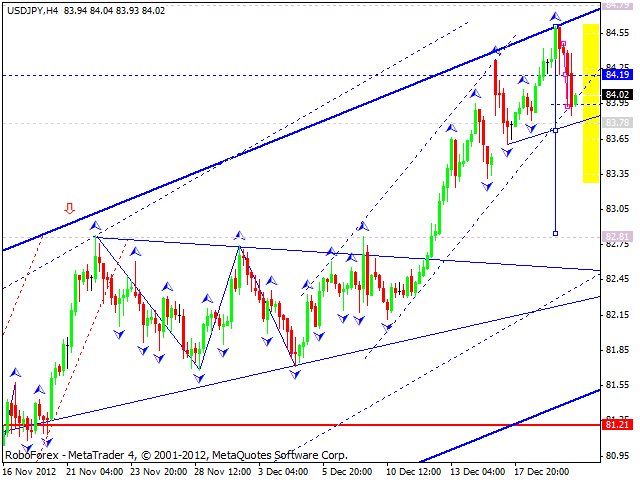 The USD/JPY currency pair finished an ascending wave and started forming a descending correction. Right now it is forming the first descending structure with the target at 83.80. The target of the second structure is at 84.20. After that the price may start another descending movement. A predicted target of this correction is at 82.80. Australian Dollar continues moving downwards. Yesterday the market couldn’t start a correction and, after consolidating for a while, continue falling down. In my opinion, the price may reach the level of 1.0430, return to the level of 1.0503 to test it from below, and then start forming a new descending structure with the target at 1.0420. Gold is consolidating close to its minimums; it formed a ”triangle”. I think today the price may break the pattern upwards, form a correction towards the level of 1680, and then move downwards and reach the target at 1656. However, an alternative scenario implies that the instrument may break the pattern downwards.